After going 79-83 and finishing 16 games behind the Tigers in the AL Central last season, the White Sox focused their offseason on acquiring younger, cost-controlled players through trades. Sergio Santos and Carlos Quentin were dealt away this winter, prompting GM Kenny Williams to use the word "rebuilding" in December. Assuming their 10-7 start to this season isn't a deterrent, another player who could be on the move this summer is Jake Peavy. Peavy, 31 next month, has been one of the very best pitchers in all of baseball in the early going this season. He threw a complete game shutout against the Athletics two days ago, lowering his season ERA to 1.88 in four starts. Peavy has struck out 26 and walked just four in 28 2/3 innings, allowing just one home run. This level of performance isn't surprising when you're talking about a former Cy Young Award winner, but it is surprising given the last three seasons of Peavy's career. Injuries have limited the right-hander to no more than 18 starts in each of the last three seasons, and in fact Peavy was on the disabled list with an ankle injury when the White Sox acquired him from the Padres at the 2009 trade deadline. Last season he was sidelined by rotator cuff tendinitis and then a groin strain, though the most significant injury was a detached lat muscle in 2010. The injury was very unique and required surgery, though he's obviously recovered well. The White Sox owe Peavy $17MM this season and are likely to pay him a $4MM buyout rather than exercise his $22MM club option for 2013. A sub-2.00 ERA probably isn't sustainable, but if Peavy shows that he can remain effective over the next two months, Williams could be in possession of the best available starting pitcher on the trade market at the deadline. Starting pitching is always in demand, and Peavy's limited no-trade clause – he can block trades to eight teams this year – figures to be nothing more than a minor obstacle. Peavy's recent injury history and the fact that his new team will be unable to collect free agent draft pick compensation after the season (thanks to the new collective bargaining agreement) could limit the asking price, but division races have a way of making the market unpredictable. The injury-prone Erik Bedard fetched a top ten prospect (Trayvon Robinson) and a secondary piece (Chih-Hsien Chiang) at last year's deadline, and that deal could serve as a comparison for a potential Peavy package. If Peavy continues to pitch well into June and July, Williams could decide to cash him in as a trade chip rather than risk another injury or the possibility of him leaving as a free agent after the season. You’d have to think the Yankees will be in on this. If the Yankees had the payroll, I’m 99% sure they’d jump all over him. I think the Yanks would pull it off. He’ll only be a rental for this season. Does he have a no trade clause? Yanks would pull it off if they weren’t trying to lower payroll. No way they take on his salary, though. Trying to lower it for 2014, this doesn’t impact that. Not saying they definitely will or definitely won’t but I’d expect the Pineda thing will, if nothing else, make them take a closer look at him. That would really hurt his fantasy value. He comes with 55m in salary obligations over the next 2 seasons for someone as fragile as bedard and Hardin. That would take a GM rolling the dice with his job big time. I see your point; however, Santana averaged about 230 innings from ’04 to ’08, followed by 163 in ’09, 200 in ’10, and 0 last year. Harden and Bedard have trouble reaching 100 innings. If Santana has zero injury problems this year (and the Mets fall out of contention), I could see a team giving up elite prospects if the Mets took on half of the contract. You also have to factor in that the 2014 option would only cost a new team $19.5 mil which could be an attractive option if he stays healthy. “Only” $19.5MM. Unless he’s got an ERA <2 at the deadline, they'd have to take more than half the contract to get back good prospects. The recent injury is really is only one, just a serious one and he does seem to be coming back fairly ok from it. Then you have to look at just his base salary for 2012-13 (49.5m) the 5m buyout for 2014 (5m) and realize that makes him the highest paid pitcher in the game by 4-5m a season on average, factoring in the buyout. The Mets (like you said) would have to pay many teams at least half of what he is owed to receive back a team’s upper level prospect (or 2) and if the Mets did that, their base may revolt after already losing Reyes. NY, even in a rebuilding stage and even though with that scenario might be better of from a fan’s prospective just letting him ride out the last 2 years even if he does hold up and produce, though if he does return to his dominant self? The Mets agree to pay 1/2-3/4 of his salary to the *right* team (maybe even more to some) they could snag a really good prospect or two and he could probably be a hot commodity, but he would have to produce and be healthy for a long period have a feeling for that scenario to work in order for any team to be on the hook for 20-25m of his due salary. Most Cubs fans I know are willing to endure the rebuilding years. The owner knows it’s the smart decision (and ultimately what will make him more money in the long run), and the GM knows he wont get fired for some losing seasons. 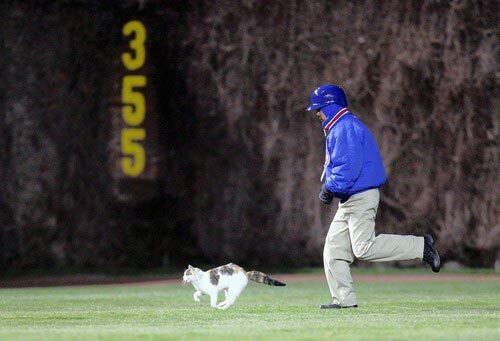 Hopefully the Mets don’t let their fans make their baseball decisions. If Jake continues to pitch this way the Sox will be in the division race, and might have a shot at the #2 wild card (assuming the Red Sox and Angels continue to tank). Should this start he’s getting translate into the rest of the season and he survives the ineptitude of his GM, I could see the White Sox giving him a new, 1 year deal with a vesting option based on innings, at maybe $5-6M. If there’s a chance he can turn into the old Jake Peavy, he’s young enough to be a staple in the rotation for a few years. Yeah, I was thinking the same thing. If the Sox are able to hang in there, I think they could actually be buyers at the trade deadline. Third base upgrade??? I’m hoping the Mets will suddenly give up on their quest to retain David Wright. You need prospects to be buyers. The best the White Sox could do is eat Jason Bay’s/Alfonso Soriano’s contract, because they have nothing to offer. I laughed at the guy that suggested the W. Sox could go after Wright. …because the Mets have so much to offer. Peavy’s owed $21 million next year, or a $4 million buyout. If Peavy stays healthy and pitches like the former Cy Young winner he is, KW’s asking price is going to be HIGH. Look at what he asked for Danks this past offseason. 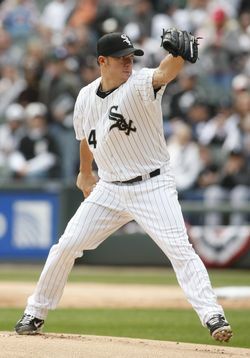 I think if the Sox are in for a Wild Card run, Peavy will be at the center of it. Jays have done 3 deals in the last year with the white sox, and need some help in the rotation. I’m interested in your thoughts J-Dub, what would you say to buying out the option year and giving him a new, short term deal to see if he’s really back in business? If we’re finally seeing the JP that Kenny thought he was trading for then I don’t want to see him walk all of a sudden. Depending on the rest of the rotation. Sale has done exactly what we all hoped he would and established him self as a legit top of the rotation starter. Danks is Danks, humber seems to be making that next step and Floyd is Floyd, a guy who flashes brilliance but isnt consistent. Wit Axelrod and Molina looking to crack the rotation in 2013, we are going to have too much starting pitching. If the whitesox continue to win, maybe take the Central(the tigers are proving to be slightly over rated) or at least one of the two wild cards. Peavy probably wont be moved this season, unless Molina or Axelrod have nothing left to prove in the minors this season and Kenny is offered a very good deal for him. If Peavy stays I would not be surprised to see Kenny try to work something out where the 22 million option turns into a 3-4 year deal with 30-40 million. But this 100% depends on the record and Axelrod and Molina. (Notice me not talking about stewart, he is horrible and the jays were right to depart with him) If the sox are out of it I could easily see him traded and I think it would be best for both him and the team, the sox get prospects and PV gets a chance at a ring. Kenny also could keep him all year, allow Axelrod and Molina to get seasoning in the minors, pick up his option and trade him over the winter while eating some money to get better prospects back in return..
Another option is selling high on humber, which I honestly dont want them to do because as i stated above he seems to have finally figured it out and he is throwing a slider which is a + pitch and he has only been throwing it since spring..
We are in agreement on Floyd getting traded, I’ve grown tired of seeing him just be mediocre for the past few years. He throws a few gems here and there, but I really want to see the Sox rotation become an elite one, and that won’t happen with him in one of the spots. Danks I could see hanging around but only because it seems like KW literally has a different plan for him every week. Trade block, extension, back to the trade block… we’ll see. Humber is looking great, just like early last season. Let’s hope he is in fact making that next step. And Molina… all I can say is that he’d better be a stud, #2 rotation guy minimum condiering what we gave up. Not that I expect Santos to turn into the next Mariano, but a team friendly 3 years of control plus an option of a 30+ saves young closer with a fresh arm and exceptional fielding is a hot ticket for one prospect. I agree with jwsox, the Sox will trade Peavy unless they are certain they have a shot at competing in the playoffs, notice I didn’t say making the playoffs because I feel that even if the Sox make the playoffs they will be ousted quickly so keeping Peavy would be just for the sake of saying we made playoffs. Therefore I feel there is a 70% Peavy is traded, the 30% uncertainty taking into account the potential of the Sox to compete, KW’s asking price, and Peavy’s contract. he should go back to SD. Just what I was thinking. Maybe a 1-year deal with an option. If he stays healthy, keeps pitching like he is now (or close to it) and gets in some innings then start talking extension. He’s still fairly young (30 this season? ).